At some point in your college soccer recruiting process, it is likely that you will have a phone call with a college soccer coach. Some soccer coaches will call recruits early on in the recruiting process, while others may only call towards the end of their recruiting cycle. If a college soccer coach calls you it’s a good sign that they are legitimately interested in you. You can also take the initiative and set up phone calls with college coaches. This shows that you are responsible and highly interested in moving forward with the particular soccer coach. Talking over the phone will help you more effectively build a relationship with the coach as well as ask important questions about the college soccer recruiting process of the particular college. Like any interaction with a soccer coach a phone call is a fantastic opportunity to make a good impression. Here are 5 tips for successful phone calls with college soccer coaches. “Hi, this is Ryan. Please leave a message and I’ll get back to you as soon as I can” makes a good impression if you happen to miss the coach’s call. “Yo it’s me, I’ll hit you back” achieves quite the opposite effect. This may be a small detail, but every detail matters when trying to stand out in a competitive college soccer recruiting process. Having a decent overview of the respective program will show the coach that you’re interested. This will allow you to bring up specific points of interest that show the coach that you legitimately care about their program. How did the team do last season? If they’re in season, who did they play last week? “Who do they play this week? Telling a coach: “I saw you beat Penn on Wednesday…that’s awesome. How was the game?” shows a coach that you are following along and excited about their season. You want the coach to think that you are personally invested in their program. Usually, a soccer coach is calling to get to know you better, not listen to you talk about how great of a player you are. The coach is already interested, so it isn’t necessary to promote yourself here. If a coach asks about athletics, definitely fill him/her in on recent and upcoming events, but try to avoid giving your resume over the phone. Every coach will ask different questions, but be prepared to talk about the school year, your family, hobbies, etc. The best conversations are two-way conversations, so do more than just answer the coach’s questions. For example, if the coach asks about your summer, tell him about the family beach vacation, then follow up and ask “How has YOUR summer been?” You’d be surprised at how refreshing it is for a college coach when a potential recruit can carry on a real and engaging conversation. 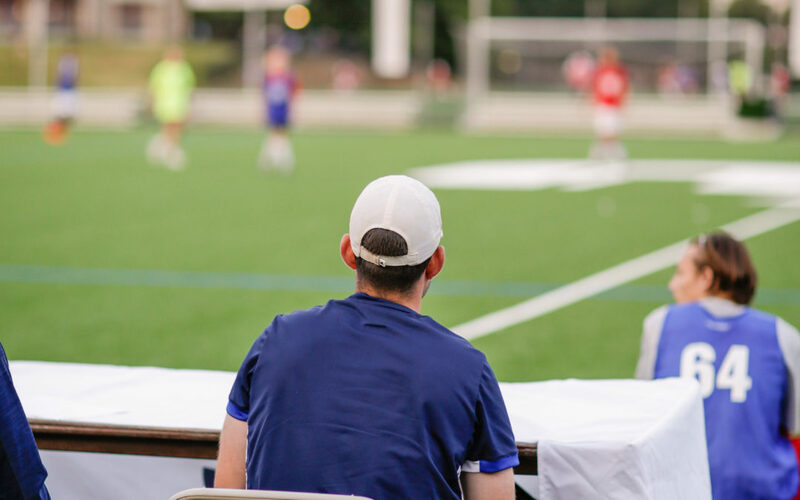 If the phone conversation occurs early on in the soccer recruiting process, a coach may want an update on your college search and selection process. Tell him/her about what you’re looking for in a college and why you are interested in learning more about his or her school. It is okay to mention other schools that you are visiting and communicating with, but always reiterate your interest in the coach’s program unless you know for sure that it is not a good fit for you. College coaches are more likely to reach out to you over the phone (and email) if you have created legitimate interest in yourself as a potential soccer recruit. What is the best way to do this? – Play in front of college coaches. Future 500 campers play a multitude of games in front of 75 college coaches. Future 500 campers also have more personal breakout and training sessions with these coaches. This is a large exposure opportunity with a small-camp feel, that is consistently rated the number one in America. Find out more about how Future 500 helps you attract interest and exposure by clicking this link.